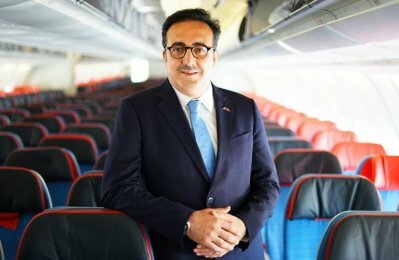 Turkish Airlines carried a total of 5.7 million passengers during January, the airline said. The load factor in January was 79.5 per cent. While domestic load factor was 87.1 per cent international load factor was 78.3 per cent, it said. International-to-international transfer passengers (transit passengers) went up by 5.2 per cent compared to the same period of last year. In January, cargo/mail volume continued the double digit growth trend, and increased by 14.9 per cent compared to the same period of 2018. Main contributors to this growth in cargo/mail volume were Europe with 21 per cent, Far East with 13.7 per cent and North America with 11 per cent increase. In January, Far East showed load factor growth of 1.4 points, while North America increased by almost 1 per cent compared to the same period of last year.